This PPE safety sign is used to describe the hazard of acid splashing and the potential for getting chemicals in your eyes. The pictogram shown is used to notify people that safety glasses should be worn. The most common size of this sign is 10"x14" but it is available in many different sizes and can also be customized to suit your company needs. 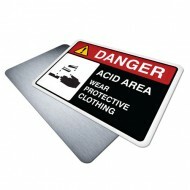 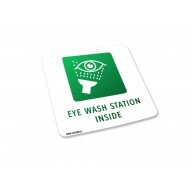 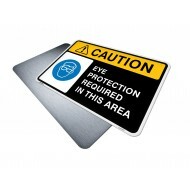 All of our safety signs come with a protective 3M overlaminate to preventy graphic fading and provides scratch resistance for extra longevity. "Acid Area - Eye Protection Required"